Christy Angeletti is a cutting-edge singer/songwriter with an amazing sense of connection to the human experience, expressed in song. It’s on stage, with her band, that she truly shines. 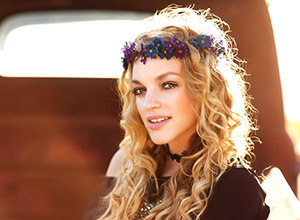 With a charismatic mix of insightfulness and hippie-chic sensitivity, her stage presence is spellbinding. Christy’s ‘whimsical with attitude’ style, evolks the sensibilities of the generation. From Columbus, Ohio, Christy’s singing career began as a little girl, at church and in school. From performing at local events and various venues, to opening for major headlining acts and recording in the studios of Nashville, Christy is quickly gaining a major following. A social media sensation, her YouTube channel boasts over three million video views. She was recently named the “Best Female Country Artist” at the Indie Music Channel Awards. Eric Huff delivers the best in country music standards including the hits of Conway Twitty, George Strait, and more. 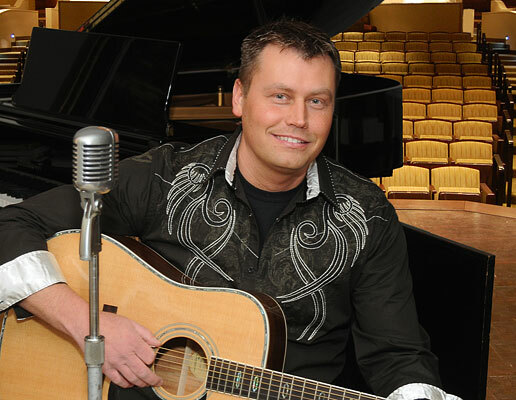 He also shares his own country flair with original songs like “Clean Cut Country” as well as a full-length song crafted for the national restaurant chain, Cracker Barrel. 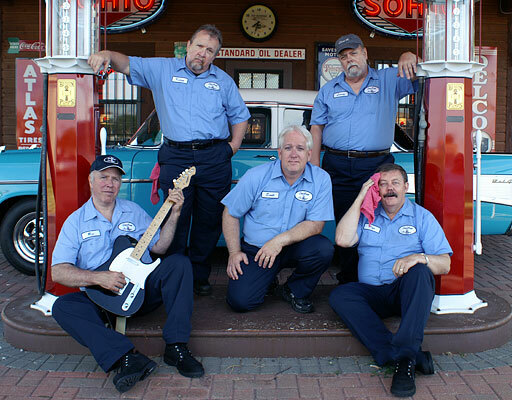 Eric’s Clean Cut Country Show shines with the full-time band Steve Lake & The Swingmasters— known as the back-up band for artists like Crystal Gayle and The Statler Brothers. Southwest Ohio’s bluegrass group, Special Delivery visits the stage with Eric Huff for a few foot-stompin’ surprises that bring two genres of music together into a truly engaging country show! 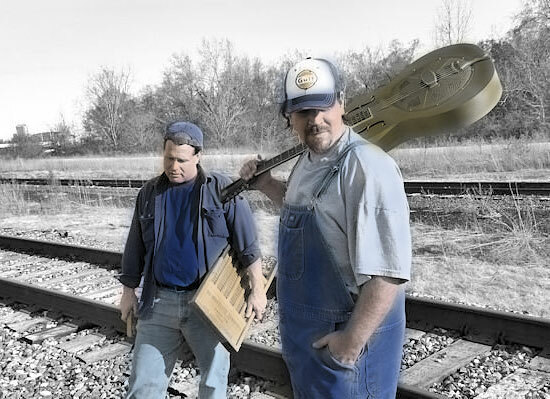 Ohio-based duo, Front Porch Revival brings to life the sounds of 1920s and 30s era Delta Blues music, covering artists like Robert Johnson, Charley Patton, and many more. In addition, they have crafted new songs true to that traditional vein. With resophonic and flat-top guitars and in classic blues vocal style, Noah Shull takes you on a vintage journey through the rural south. Steve Frye adds the textured pulse with washboards and the cabbage case stomp. Both are seasoned musicians with an earthy and soulful grasp on the rich culture behind their art. Together, Noah and Steve produce an incredibly moving and rare experience. An honest interpretation of Blues, the way it was played, on the same instruments it was played on—a true Front Porch Revival. 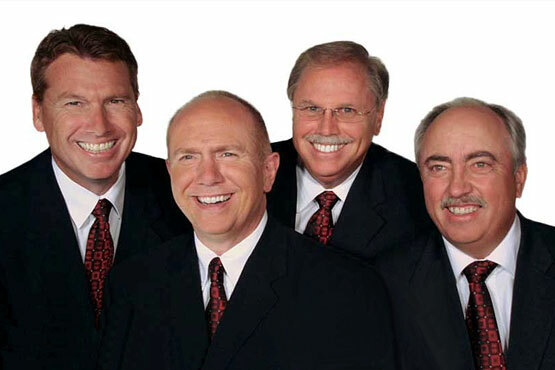 The Gospel Harmony Boys are one of America’s finest Southern Gospel Quartets. They have been presenting the Gospel in song since 1952 all across this great country, in churches, auditoriums, fairs, and festivals—and after all that time, by God’s grace, they are still going strong! Today they remain standard-bearers in the Gospel singing community. They are a fellowship of friends doing what they love, perfecting rich harmonies and blending strong talents as never before, to bring you the Gospel in song—the way it should be heard. The Gospel Harmony Boys aspire to inspire as well as entertain through a unique blend of Christian dedication, solid talent, and stage presence that has been thrilling audiences for over sixty glorious years.